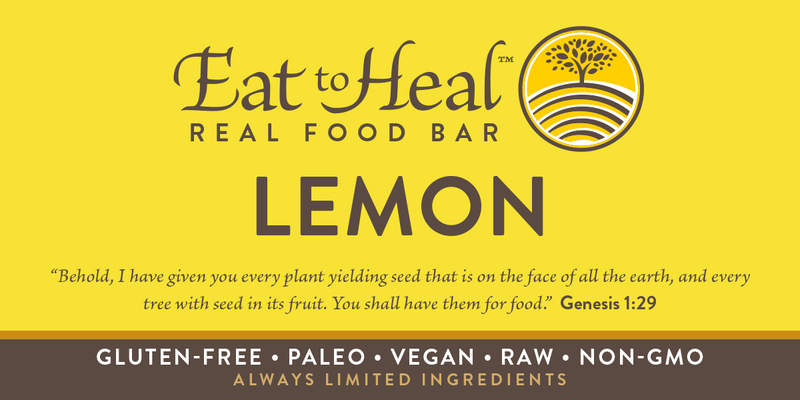 At EatToHeal, we want to make nutritious and delicious food easily available in one bar. We use only the best natural nutrients, ones your body can absorb and utilize. We hope you love them as much as we do! We exclusively utilize raw bar-making processes in our facility, always using limited ingredients, and never use any heat treatments during production. All of our bars are made by hand in small batches and are always made upon order. We never keep products on shelves, providing you with the freshest bars. Our brown rice protein uses non-GMO sprouted rice and has an amino acid profile closest to mother’s milk. We also guarantee it is kosher and certified organic. As a practitioner who has seen cancer patients for the past 20 years, I am very conscious of their dietary sugar content. Changing one's diet can often be the most difficult thing for them to adhere, so finding EatToHeal bars have been a God-send. Now patients can enjoy a flavorful, sweet treat with zero net carbs that will be less apt to feed the cancer and help satisfy a craving. Often, patients with a serious diagnosis feel so much has been taken away from them; EatToHeal bars not only give back great nutrition, healthy fats, and vegan proteins, they are a delicious addition to the soul. Thanks so much! Recommending quality foods is a critical part of my practice so that I can help people achieve optimal health. EatToHeal bars are what I recommend to my patients because they include very few ingredients, all of which are of the highest quality, and have a high protein content. Besides that they taste amazing and my patients can't get enough of them! Good afternoon, Jaime. This email is to thank you for your delicious EatToHeal bars. I was fortunate enough to be introduced to your bars last week while I was at the Block Center in Skokie, Illinois for my new patient appointment. I was diagnosed with Stage 4 rectal cancer in January 2017, and since that time, modifying my diet and finding the "right" foods for me has been a tremendous challenge. When I was receiving treatment, protein shakes and bars were recommended to me; however, I was hesitant to consume those due to the sugar content, preservatives, artificial colors, etc. - if only I had known about your bars sooner. Thank you, again. I truly appreciate your dedication to quality, nutritious, and delicious food! Please know that you are making a difference in people’s lives. Good afternoon, Jaime. This email is to thank you for your delicious EatToHeal bars. I was fortunate enough to be introduced to your bars last week while I was at the Block Center in Skokie, Illinois for my new patient appointment. I was diagnosed with Stage 4 rectal cancer in January 2017, and since that time, modifying my diet and finding the "right" foods for me has been a tremendous challenge. When I was receiving treatment, protein shakes and bars were recommended to me; however, I was hesitant to consume those due to the sugar content, preservatives, artificial colors, etc. - if only I had known about your bars sooner. Thank you, again. I truly appreciate your dedication to quality, nutritious, and delicious food! Please know that you are making a difference in people’s lives. "As an holistic health care professional for the past 38 years, I have researched and personally experienced over 50 different bars. I'm very protective over my clients and will only recommend products I personally consume. After meeting Jamie and looking at the nutritional profile on the EatToHeal bars, I thought, finally, someone made a bar that meets and exceeds my expectations! The EatToHeal bars have the perfect amount of micro and macro nutrients, and the highest quality of wholefood ingredients I've ever seen in a bar. We finally have a bar we can recommend all out clients. They absolutely love these bars. We have some clients that buy over 20 bars at a time. A perfect meal or snack for the person on the go. Once you've experienced a EatToHeal bar, you'll never to look anywhere else!" "As a Kinesiologist I find that when I muscle test most “nutrition" bars actually test weak on people because they contain ingredients many people are sensitive to, like added sugars. I’m most impressed with the EatToHeal bars in that they not only tastes great, they actually strengthen weak muscles when I have tested them on people. This shows that they actually have healing properties that can bring a person into balance. I make them a part of my diet and am enjoying better health because of it!" Jaime F. Nappi is a Certified Nutritional Therapy Practitioner. Her passion for healing foods has been with her since the age of twelve. Years later after being diagnosed with an autoimmune disease, losing her beloved mother to cancer, and learning of her father’s cancer diagnosis, she was determined to help her own body heal by changing her diet and incorporating a holistic approach to healing. Through her journey, she has made a promise to herself to help others prevent and manage their diseases. When she saw the “health” bars that patients are routinely given, she got so angry that she went to her kitchen and created her own. She also educates people on a holistic and healthy lifestyle. Products and/or information are not intended to diagnose, cure, treat or prevent any disease. Made in a facility that contains nuts.